No outdoor event is complete without the proper amenities and that includes a place to "go" when nature calls. 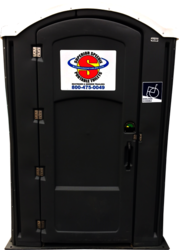 We offer standard porta potty rentals, ADA compliant toilets, rooftop and construction restrooms in addition to restroom trailers. We also offer a great selection of hand washing stations operated with fresh water or hand sanitizer. 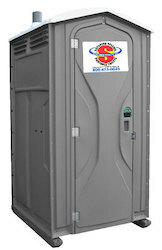 Whether you are planning for an outdoor festival, sporting event or construction job, Superior Portables makes it easy. Use our easy online scheduling tools for quick and easy pick-up or delivery service so you have one less thing to worry about! 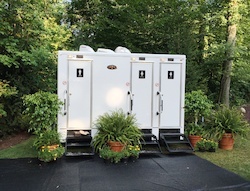 Have questions or need to discuss options for portable toilet rentals for your next outdoor event? Live chat with one of our representatives using the chat option to the right or click the quote button and we'll be in contact with you. The Pro Football Hall of Fame hosted a party for what is often referred to as the ‘Super Bowl’ by Cleveland Browns fans - the NFL Draft.